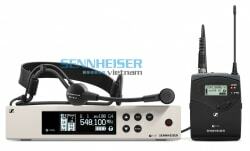 The best choice if you need a handheld transmitter and maximum flexibility. This base set consists of the stationary receiver as well as a handheld transmitter. Just add your favorite capsule. 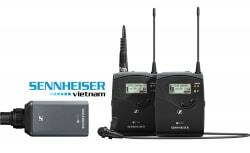 The SKM 300 G4 Wireless Handheld Transmitter, No Capsule from Sennheiser is the latest addition to their evolution series of wireless transmitters. It operates in the UHF frequency range and can be used with a companion receiver and a microphone capsule (sold separately) as part of a wireless RF transmission system for live stage, theater, and presentation applications. It features 3250 frequencies that are tunable in 25 kHz steps and equipped with 20 fixed-frequency banks with up to 32 compatible frequency presets, and 6 user banks with up to 32 user-programmable frequencies. The transmitter's menu-driven backlit LCD display shows the current frequency, frequency bank and channel number, metering of AF level, transmission status, muting function, battery status, and more. 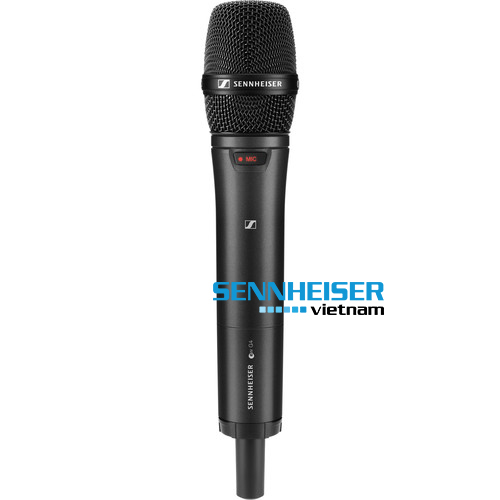 Furthermore, the SKM 300 G4 handheld transmitter's frequency response ranges from 80 Hz to 18 kHz and power is supplied by two 1.5V AA size batteries, or by one Sennheiser BA 2015 rechargeable accupack. Also, an e 935, e 945, or e 965 microphone capsule is required (sold separately). Integrated network port allows control, monitoring, and setup via Sennheiser Control Cockpit and WSM software.